Great Nails at Great Prices! 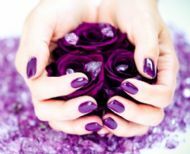 Established in 2005, Heavenly Nails specialises in Acrylic Extensions, Bespoke Nail Art, Deluxe Pedicures and Manicures - all at truly affordable prices. ​Check my site for the different treatments I offer. Call me to book your appointment.